1Mathematics Department, Faculty of Science, Taif University, Taif, Saudi Araba; 2Informatics Research Institute, City of Scientific Research and Technology Applications, Alexandria, Egypt; 3Facluty of Pure and Applied Science, International University of Africa, Khartoum, Sudan. Copyright © 2013 Moustafa M. Salama et al. This is an open access article distributed under the Creative Commons Attribution License, which permits unrestricted use, distribution, and reproduction in any medium, provided the original work is properly cited. In this paper, we have presented the numerical investigation of the geometric phase and field entropy squeezing for a two-level system interacting with coherent field under decoherence effect during the time evolution. The effects of the initial state setting and atomic dissipation damping parameter on the evolution of the geometric phase and entropy squeezing have been examined. We have reported some new results related to the periodicity and regularity of geometric phase and entropy squeezing. The interaction between the radiation field and matter is an important quantum optical problem that lies at the heart of many problems in laser physics and quantum optics [1,2]. A solution for this problem has been presented through the well known the Jaynes-Cummings Model (JCM) . This model has been studied extensively over since [4-7]. The JCM in the presence of damping becomes more realistic model. In this way, the theoretical efforts have been stimulated by experimental progress in cavity QED. Besides the experimental drive, there also exists a theoretical motivation to include relevant damping mechanism to JCM because its dynamics becomes more interesting. A number of authors have treated the JCM with dissipation by the use of analytic approximations  and numerical calculations [9-11]. The solution in the presence of dissipation is not only of theoretical interest, but also important from a practical point of view since dissipation would be always present in any experimental realization of the model. However, the dissipation treated in the above studies is modeled by coupling to an external reservoir including energy dissipation. As is well known, in a dissipative quantum system, the system loses energy by creating a bath quantum. In this kind of damping the interaction Hamiltonian between bath and system does not commute with the system Hamiltonian. In general, this leads to a thermalization of the system with a certain time constant. There are, however, other kinds of environmental coupling to the system, which do not involve energy exchange. Recently, much research attention on the quantum phases such as the Pancharatnam phase which was introduced in 1956 by Pancharatnam  in his studies of interference effects of polarized light waves. The geometric phase (GP) which was realized in 1984 by Berry , is a generic feature of quantum mechanics, and it depends on the chosen path in the space spanned by all the possible quantum states for the system. The definition of phase change for partial cycles was obtained by Jordan . The ideas of Pancharatnam were also used by Samuel and Bhandari [15,16], to show that for the appearance of Pancharatnam’s phase of the system needs to be neither unitary nor cyclic [17,18], and may be interpreted by quantum measurements. Presently, the models of quantum computation in which a state is an operator of density matrix are developed [19,20]. It is shown that the geometric phase shift can be used for generation fault tolerance phase shift gates in quantum computation . Many generalizations have been proposed to the original definition [22- 24]. The quantum phase, including the total phase as well as its dynamical and geometric parts of Pancharatnam type are derived for a general spin system in a time-dependent magnetic field based on the quantum invariant theory . Another approach that provides a unified way to discuss geometric phases in both photon (massless) and other massive particle systems was developed by Lu in Ref. . An expression for the Pancharatnam phase for the entangled state of a two-1evel atom interacting with a single mode in an ideal cavity with the atom undergoing a two-photon transition was studied . It is well known that the study of the field-atom interaction in the presence of decoherence is an important topic in quantum optics and information. In this present contribution, our main interest is to investigate and discuss in detail the time evolution of the field entropy squeezing (FES) and geometric phase. Furthermore, we present the relationship between them in terms of the parameters involved in the system under consideration. This leads to address the question: can the FES and GP be used as a parameter dynamical properties of the system in the presence of decoherence? Also, what is the effect of the cavity damping parameter and initial atomic state position on the behavior of geometric phase and entropy squeezing? The outline of the paper is as follows: In the next section, the physical model is described; the field density matrix is defined. The geometric phase and field entropy squeezing of the system under consideration are presented in Section 3, 4 respectively. In Section 5 we will examine in detail the effect of damping and initial state setting the geometric phases and field entropy squeezing of the present system. The paper ends with the conclusions in Section 6. 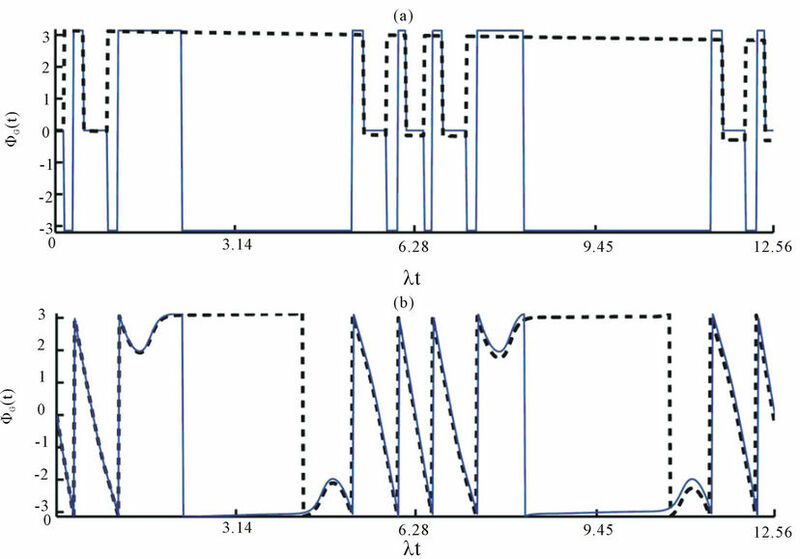 In this section, we introduce the numerical investigation of the master equation for the interaction between a twolevel and coherent field in the presence of damping such as cavity damping and energy dissipation. In the following section, we will study the dynamical properties of the GP and FES based on two values of the initial atomic position with and without decay effect. has been presented  for the operators that satisfy , where denotes the standard deviation of the observable A. This equation was adopted by Heisenberg as the true mathematical expression of the uncertainty principle for the position-momentum pair. An alternative mathematical formulation of the uncertainty principle is provided by the inequality [34,35], where is defined as the exponential of the differential entropy corresponding to the observable A.
where for the position and momentum respectively. where , the position (momentum) of the field is squeezed in entropy. Figure 1. The evolution of the: geometric phase as a function of the scaled time for a two-level atom interacting with a single-mode for , when (solid line) and (dashed line). Figure 1(b) the same as Figure 1(a) but for . –π to π when when θ = π/4 and the other parameters are the same as in Figure 1(a). The comparison between Figures 1(a) and (b) show that GP is very sensitive for any change of the initial atomic position θ. After an initial change, the GP tends to stabilization with maximum value in the case presence of damping and with minimum value in the case of absence of damping around the half of periodic time . On the other hand GP has a very rapid oscillatory behavior for significantly high values around the scaled time . From the numeral results presented in Figures 1(a) and (b), it follows that for the strong damping to environment (here the scaled damping strength ) the behavior of GP are shown to be affected as the time goes on. So, in zero temperature, the quantum-mechanical properties are more transparent because the “classical” sources of dissipation and decoherence are frozen and the fluctuations are unavoidable due to vacuum fluctuations of the environment. From these results, the phase damping may restrain and stabilize the GP amplitude during the time evolution. Now, we are in a position to discuss the dynamics of GP as a function of the initial atomic position parameter θ and for fixed value of the scaled time . It is noticed that GP has a periodic behavior with period which equals the scaled time . On the other hand GP is affected by the atomic dissipation when , while the GP does not affected by the atomic dissipation when (see Figure 2). These result open new perspectives in the field of quantum optics and information. The time evolution of the field entropy squeezing components shown in Figure 3 and we can show that both of are exchange the squeezing between them and their maximum values increases at the first stage of the time evolution. As the time goes on it is observed that no squeezed quantified by the both of . Now, we shed some light to the effect of dissipation of the evolution of . It is noticed that when the effect of dissipation is considered the situation is partially changed where the amplitude of are deceased gradually and thereafter (see Figure 3(b)). Figure 2. The evolution of the: geometric phase as a function of the initial atomic position for a two-level atom interacting with a single-mode for , when (solid line) and (dashed line). Figure 1(b) the same as Figure 1(a) but for . Figure 3. The evolution of the field entropy squeezing component (solid line) and (dashed line) as a functions of the dimensionless time for a two-level atom interacting with a single-mode for , when and (Figure 1(a)). Figure 1 (b) the same as Figure 1(a) but for . that some new important and interesting features regularity and periodicity of the geometric phase. On the other hand, we have found that there a monotonic relation the geometric phase and entropy squeezing. It is well known that the study of the physical properties of the atom-field interaction is an important topic in quantum optics and information. In this way, our results show that the interaction between two-level with coherent field in the presence of dissipation provide a much richer structure than the absence the dissipation effect. We have shown that the geometric phase plays a crucial role in a variety of physical problems and has observable consequences in a wide range of quantum systems by testing the fundamentals of quantum dynamics and details of interactions modeled by Hamiltonians. Also, we observed a very close connection between the structure of the entropy squeezing and geometric phase due to the dissipation effect for different values the initial state parameter, θ. Due to its simplicity and clear geometric structure the identified definition the mixed state geometric phase may be important for quantum information and quantum computing applications. Also, an important future investigation will be the study of the effect of the both of cavity and atomic damping on the evolution of geometric phase and field entropy squeezing. M. I. I. I. Sergent, M. O. Scully and W. E. Lamb, “Laser Physics,” Adison-Wesley, Reading, 1974. L. Allen and J. H. Eberly, “Optical Resonance and TwoLevel Atoms,” Wiley, New York, 1975. S. Pancharatnam, “Generalized Theory of Interference, and Its Applications,” Proceedings of the Indian Academy of Science, Section A, Vol. 44, No. 5, 1956, pp. 247-262. 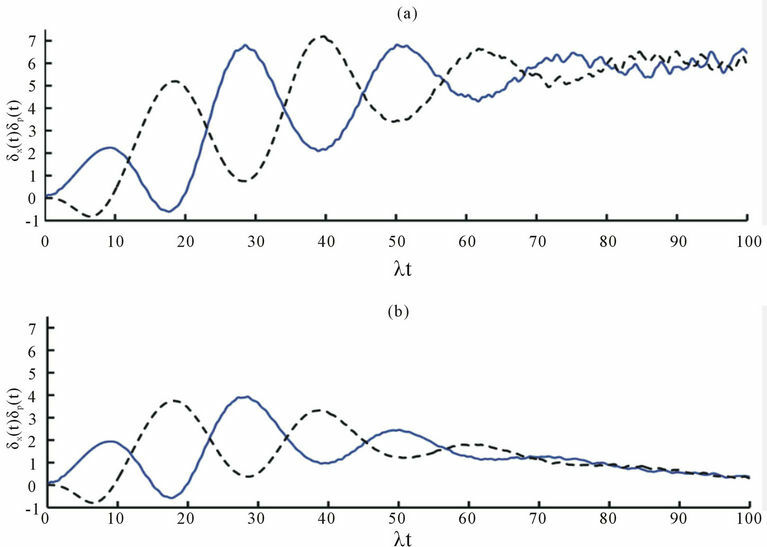 K. Berrada, H. Eleuch and Y. Hassouni, “Asymptotic Dynamics of Quantum Discord in Open Quantum Systems,” Journal of Physics B: Atomic Molecular and Optical Physics, Vol. 44, No. 14, 2011, p. 145503. V. Vedral, “Geometric Phases and Topological Quantum Computation,” Journal of Modern Optics, Vol. 47, 2000, pp. 2501-2513. M. Abdel-Aty, “Cavity QED Nondemolition Measurement Scheme Using Quantized Atomic Motion,” Journal of Optics, Vol. 5, No. 4, 2003, pp. 349-354. G. Wagh and V. C. Rakhecha, “On Measuring the Pancharatnam Phase. II. SU(2) Polarimetry,” Physics Letters A, Vol. 197, No. 2, 1995, pp. 112-115. J. Lu, “The Geometric Phase in Photon Systems,” European Physical Journal D, Vol. 5, No. 3, 1999, pp. 307- 310. 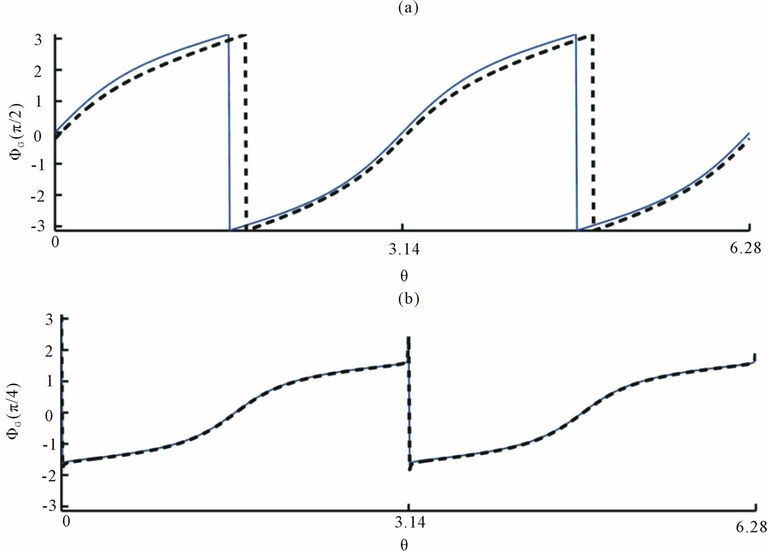 S. Abdel-Khalek, M. M. A. Ahmed and A.-S. F. Obada, “New Aspects of Field Entropy Squeezing as an Indicator for Mixed State Entanglement in an Effective Two-Level System with Stark Shift,” Chinese Physics Letters, Vol. 28, No. 12, 2011, p. 120305. Z. Qing-Chun and Z. Shi-Nig, “Entropy Squeezing of The Field Interacting with a Nearly Degenerate V-type,” Chinese Physics Letters, Vol. 14, No. 2, 2005, pp. 0336- 0343.